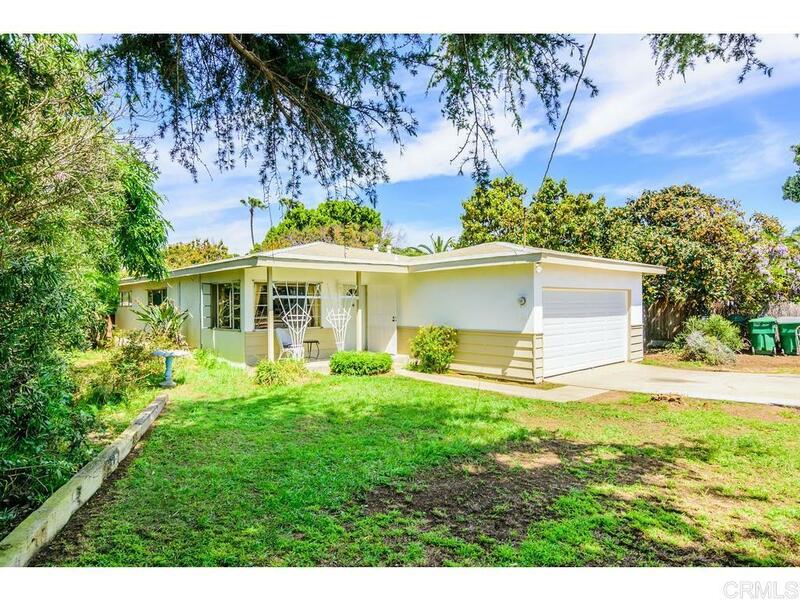 Wonderful opportunity to plant your roots in this single story garden home located on a tree-lined street with easy access to great schools, shopping, The Village & Carlsbad's beautiful beaches! Hardwood floors, upgraded bathroom, new hot water heater & forced-air unit along with an over-sized two car garage, all on a 9100 foot lot of mature trees which include Avos, Orange, Plum, Lemon and an ancient Cedar gracing the front yard! Kitchen, windows & 2nd bath are original but retain charm, and lots of it!